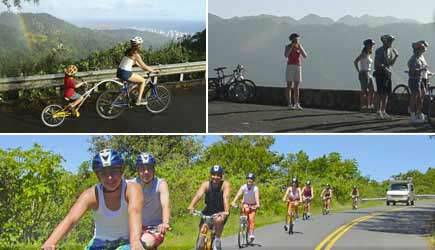 Oahu offers vacationers a unique opportunity to coast downhill on a bicycle as you ride through a tropical rainforest. As you cruise along, you’ll stop at overlooks that feature panoramic views of the skyline and beaches of Honolulu and Waikiki, with iconic Diamond Head Crater as a backdrop. A support van follows bikers down the mountain as you descend from high on the slopes of Mount Tantalus through the Pu‘u Ohia rainforest. This 5 mile ride is available as a stand-alone activity, or combine it with a waterfall hike or a snorkel / sail (or both) for an adventure-filled day. Explore the picturesque “Jurassic Valley” with an electric assisted motor mountain bike (with 4 inch wide tires). This is a beginner level tour for guests of all types, and is great for those who may not have the confidence or fitness level to go on a more strenuous regular bike tour. 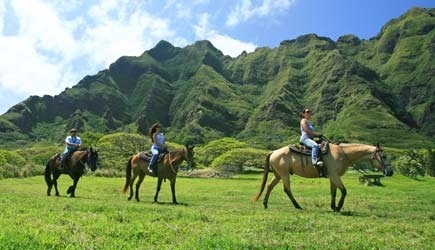 See Kualoa Ranch’s most popular landmarks and enjoy a leisurely 90 minute adventure. Experience the movie sites from Jurassic Park and Jurassic World, Kong Skull Island, Godzilla, 50 First Dates, LOST, Hawaii Five-0 and more throughout the valley! 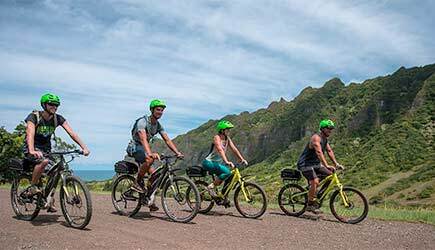 Experience Hawaiian single track mountain biking on these tours, and capture the thrill of trail riding! Explore the rain forest of Oahu with the longest running off-road mountain bike tour company in the state. 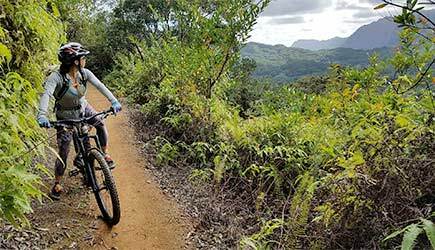 They have led thousands of mountain bikers through lush valley trails, dirt roads and single track located in the Koolau Mountains. Now they are bringing mountain bikers a whole new experience at a location. If you have a passion for off-road trail riding, and the skill to negotiate narrow single track, you will love their guided rides. 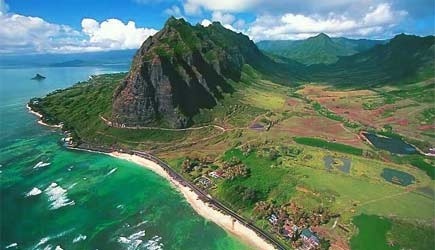 From ancient times, the lands of Kualoa Ranch have been considered one of the most sacred places on Oahu. Learn about the island’s rich history and experience the natural beauty of this area as you saddle up and enjoy this horseback riding in paradise. Ride beneath spectacular cliffs and across verdant valleys with ocean vistas. Kualoa Ranch is one of the most scenic spots in Hawaii and this is your chance to explore the ranch up close and personal. Drive your own ATV on trails deep into scenic valleys and to remote areas rarely visited by others. ATV tours are fun in the sun and even in the rain … digging through the dirt and mud and crossing seasonal streams are all part of the adventure. 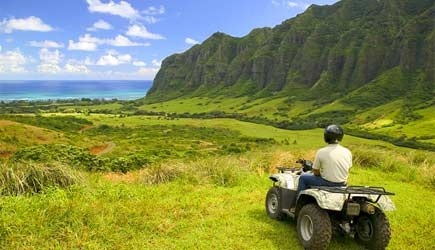 Kualoa Ranch also offer multi-passenger vehicles on the Raptor Tours, which go the same route as the single passenger ATV tours. Kualoa Ranch is a beautifully scenic property on Oahu’s windward side. An impressive list of movies and TV shows have been filmed in this scenic area. The majestic cliffs and spires of the Kualoa Mountains, the lush greenery of Ka’a’awa Valley, the ancient fishponds on the south side of the property, and the quintessential view of Chinaman’s Hat (Mokolo’i Island) provide a scenic backdrop for a day of fun and adventure. Kualoa Ranch is not just a working cattle ranch; it is an “activity club” offering a fun-filled day during your vacation. 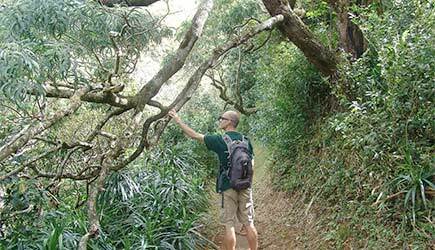 Discover the hidden hiking treasures of Oahu’s lush volcanic rainforest. The Hawaiian Waterfall Hike is a moderate 2-mile round-trip guided tour and is a rare opportunity to explore 75-acres of sacred land that is exclusive only to the guests of the ranch. Experience the majestic beauty of a towering 200-foot private waterfall, cross through tranquil streams, enjoy picturesque pools and view ancient lo`i (rock terraces) and the lush tropical vegetation of paradise. There is also the Ko’olau Waterfall HIke, a 1.5-mile roundtrip hike along a privately-owned jungle trail. At the end of the trail, enjoy a spectacular view of Oahu’s windward coast and a 30ft waterfall. Explore the East Oahu Cliffs! This tour is perfect for those who want something special without the crowds from other tour companies and the general public. East Oahu Explorer takes you the Koolau summit at the 1,200 foot Kamehame Ridge. 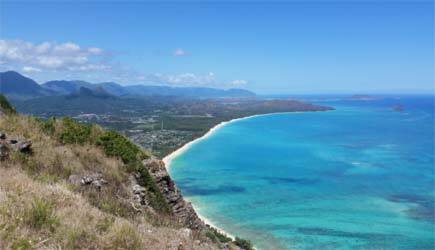 From this rare perspective you will get spectacular views of two sides of Oahu. Perfect for the mobility impaired as you can stay on flat ground to get this view. There is also an optional short but challenging half mile round trip hike. On the Farm to Forest Experience, you will be immersed in the confluence of West Oahu’s natural and cultural histories through its historic sites, stories, people, and food. Travel your way from the beach to the forested mountains above. It is more than just an Oahu farm tour, and the unique tour and interpretive guide will take you on a journey through time that includes three locations not open to the public. After meeting the farmers themselves, taste a farm-to-fork lunch featuring local produce from a favorite lunch spot. 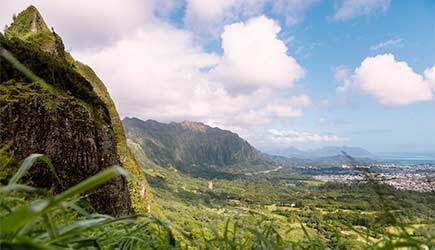 This tour has exclusive access to hike the uplands of Waianae and take in breathtaking views of Pearl Harbor, Honolulu, and Diamond Head. Sea Life Park is located on Oahu’s windward coast, about 30 minutes from Waikiki at scenic Makapu‘u Point. Get up close and personal with a fantastic array of marine life and make amazing discoveries about the inhabitants of our aquatic world. You can watch the performances or wade right in with the wildlife. Ever wondered what it’s like to be an animal trainer or an aquarist? 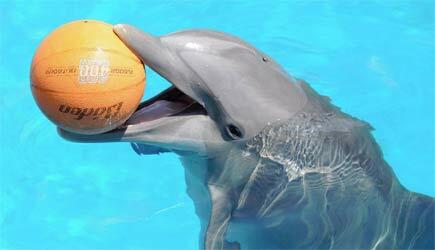 Now you can find out in one of Sea Life Park’s special interactive programs. Stay dry or get wet, it’s up to you! Sea Life park was featured in the hit movie 50 First Dates!